As you know, the Predator alien race tends to pack on a lot of heat when going into battle or on the hunt. It seems like they take every weapon they can possibly carry, but what are these little gadgets of mayhem that they have strapped to their body? 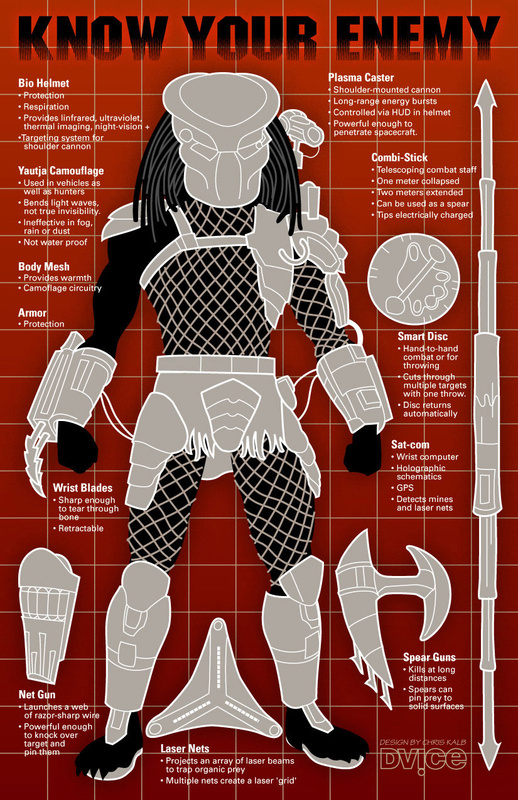 Here's a great illustrated chart that breaks down all the badass weapons that the Predators use to take out their enemies. Enjoy! The First Footage Screened For THE PREDATOR and Damn... It Was Good!